Mirpur, Board of Intermediate and Secondary Education Mirpur, AJK received admission forms from the candidates, who are going to appear in BISE AJK FA/FSc part 1 annual exams 2019, which will be started during the month of April 2019. 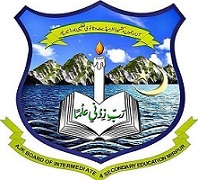 AJK Board HSSC-I date sheet 2019 annual exams has been issued to the students of Azad Jammu and Kashmir region online and they will get latest updates regarding their BISE AJK Inter part 1 datesheet 2019. The students will watch the timetable of the papers and they will follow date and time of the papers being mentioned in AJK Board class 11 schedule 2019. The students will check the names of the exams centers in their roll no slips and other particulars of the students and bring it in the exams centers.